Kenedict focuses on advisory and research in R&D and Innovation. Utilizing a network perspective, Kenedict is convinced that any R&D organisation can benefit greatly from a renewed look on both internal and external innovative activity. Kenedict’s mission is to significantly improve private and public Research & Development organisations’ decision-making by ensuring day-to-day usage of a social network perspective in the areas of Open Innovation, Competitive Intelligence, Human Resource Management and R&D Policy. Kenedict’s vision is therefore to enable every Research & Development organisation, either private or public, large or small, to utilize a social network perspective to significantly improve its overall decision-making and thereby achieve tangible benefits. The backbone of Kenedict’s services is the mapping and analysis of innovation networks. This is also reflected in the company name. In Modern Greek, the words for ‘innovation’ and ‘network’ are καινοτομία (kènotomía) and δίκτυο (díktio), respectively. The company name therefore reflects its core activities. 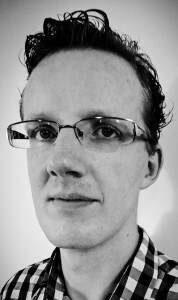 Kenedict was founded by André Vermeij, a technology, R&D and network analysis enthusiast from the city of Utrecht, the Netherlands. He founded Kenedict based on his sincere belief that organisations can and should leverage a network perspective to make better informed management decisions. Years ago, André was introduced to R&D network analysis while finalizing a paper on innovation dynamics in the solar photovoltaic industry. Next to the academic relevance of the topic, he started to see that a network view on innovation also has very tangible practical applications for any organisation focusing on Research and Development. After gaining significant advisory experience in various technology-driven industries at a leading consultancy for several years, he founded Kenedict in 2013 to allow any R&D-focused organisation to fully benefit from the application of network analytics. André holds Master’s degrees in Strategic Management and Organisation Studies and a Bachelor’s degree in Business Administration from Tilburg University, the Netherlands.